RIO DE JANEIRO, BRAZIL – It comes as no surprise that Rio de Janeiro, a city rich in culture and history, is home to a multitude of museums. Art aficionados will not be disappointed as they meander the streets and come across everything from the distinguished Museu de Arte Moderna (MAM), to the colorful Museu Carmen Miranda. This year, in celebration of the country’s museums as well as National Museum day on May 18th, Brazil will host the ninth annual National Museum Week. 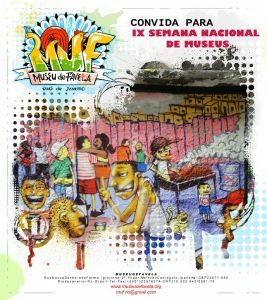 A Flyer for Museu de Favela, photo courtesy of Museu de Favela. Among the line-up of the many institutes featured comes a unique stand out. 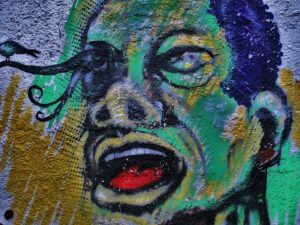 Museu de Favela (Favela Museum, MUF), located within the labyrinth of alleyways and staircases in the hills of Cantagalo, Pavão, and Pavãozinho, will be participating and offering an array of events for visitors. Founded by community leaders in 2008, MUF was fashioned as a means to preserve the memories, culture, and heritage of favela communities. Residents of the three areas, which are straddled by Ipanema, Copacabana, and Lagoa in the Zona Sul, worked together to construct a narrative, weaving a tale of personal memories and experiences from life in a favela. Their partnership spawned the development of over twenty socio-cultural projects, as well as workshops, cultural festivals, exhibitions, and musical performances, in the hopes of uniting residents and outsiders. What makes MUF particularly unique is that it is an open-air museum, sprawled throughout the entire area instead of in one specific building or gallery. It pushes the boundary on what people normally conceptualize by striving to incorporate the entire community as the museum, including people’s homes, street art, and live performances, and by not limiting its creative space to a concrete building. An array of events have been planned for Museum Week, located all throughout Cantagalo, Pavão, and Pavãozinho, allowing visitors to explore the community and integrate with residents. Included are a tour and history of the area’s street art, various exhibitions, and a concert featuring harpist Claire Jones, Prince Charles’s official harpist and a performer at the Royal Wedding. Street Art in Cantagalo, photo by Candy Pilar Godoy. MUF will also host a variety of discussions with members of the community sharing stories, experiences, and memories about life in the area. Promoted by the Instituto Braseilero de Museus (Brazilian Institute of Museums), National Museum week will kick off on May 16th and run through May 22nd. A collection of 1,006 institutes, made up of museums, archives, libraries, cultural centers, and galleries from around the nation will be participating, with over 3,000 events based on this year’s theme of Museum and Memory.